Offered in this lot are three game used bats. 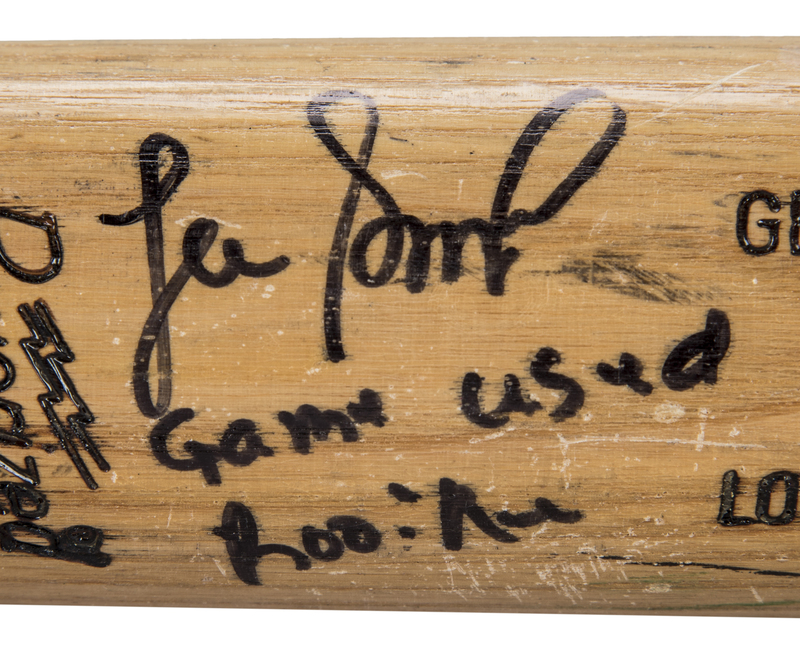 The first bat was used by relief pitcher Lee Smith during his rookie season of 1980. This Louisville Slugger B267 model bat displays excellent game use and is un-cracked. There are ball marks and black bat rack streaks present on the barrel. Smith’s number “46” and the bat’s model number “B267” are hand written in black marker on the knob. Smith signed this bat in black marker on the barrel and inscribed “Game Used Rookie”. 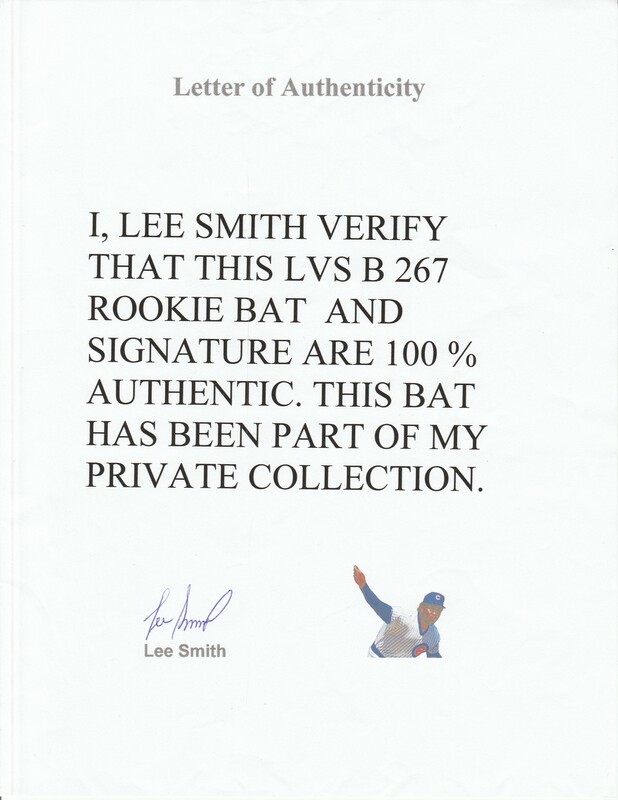 This bat comes with a LOA from Lee Smith. The second bat in this lot was used by Troy Glaus during the 2008 season. Glaus used this Adirondack M433A model bat and it displays outstanding game use. This bat is un-cracked and the barrel has ball marks, stitch impressions and blue ink transfers. The model number “M433A” is stamped on the knob and Glaus’ number “8” is hand written in black marker on the knob. The upper handle has a light coating of pine tar. 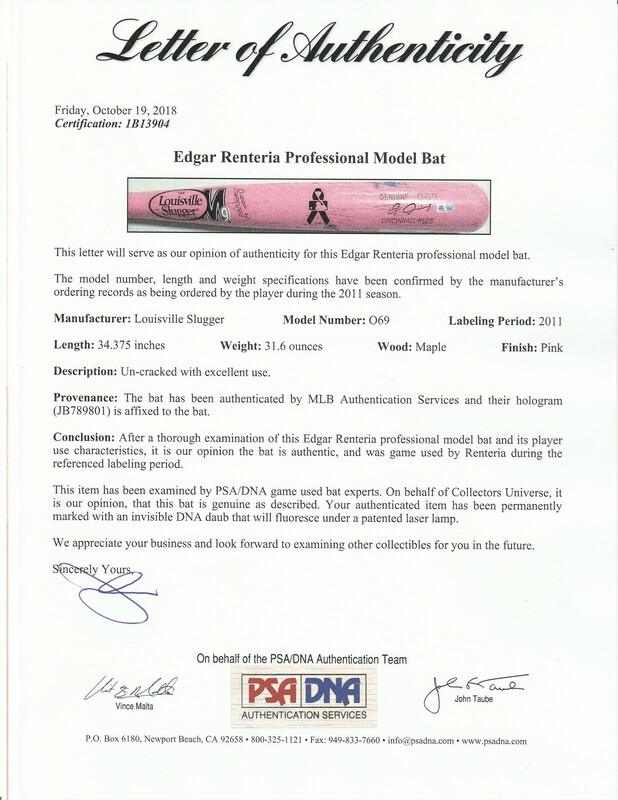 This bat comes with a LOA from PSA/DNA (1B14129). The final bat in this lot was used by Edgar Renteria during the 2011 season. This special Mother’s Day Pink Louisville Slugger O69 model bat displays excellent use and is un-cracked. There are ball marks, stitch impressions, blue ink transfers and black bat rack streaks present on the barrel. The date “4/28/11” is stamped on the knob. 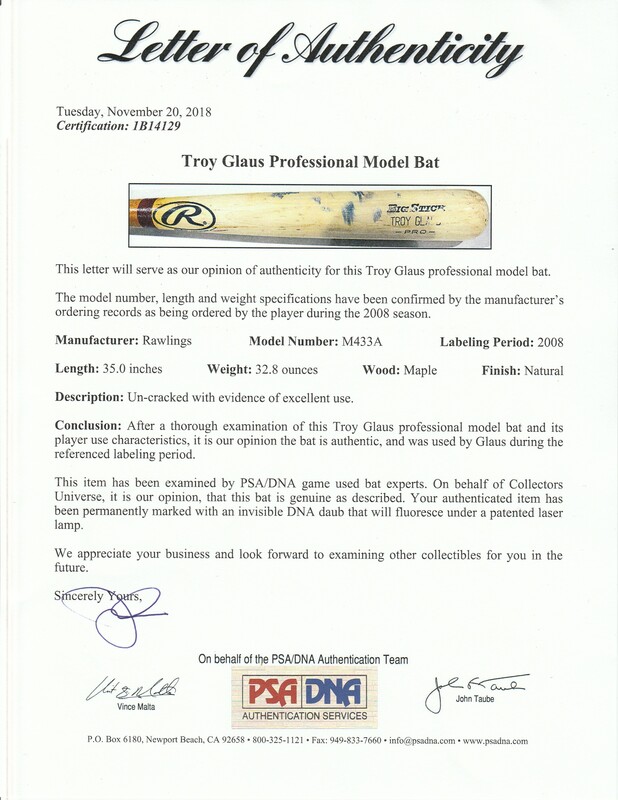 This bat comes with a LOA from PSA/DNA (1B13904) for the game use and a MLB Authenticated hologram (JB789801), which classified this bat as a “Team Issued Bat”, a common designation for items collected after the season.